Research from across the social sciences is converging on cooperation as a key factor in human functioning. Written by esteemed political scientists and psychologists, this volume brings together political scientists and psychologists to identify and analyze recent social-scientific research on cooperation and present an overview of current knowledge about its causes and consequences at the individual and group level. Brandon A. Sullivan is a graduate of the doctoral programs in Social and Counseling Psychology at the University of Minnesota. His areas of research include the role of procedural fairness and cooperation in negotiation, team decision-making, and leadership. Mark Snyder is McKnight Presidential Chair in Psychology at the University of Minnesota and is the founding Director of the Center for the Study of the Individual and Society. He is also the author of Public Appearances/Private Realities: The Psychology of Self-Monitoring (1987) and co-editor of Cooperation in Modern Society: Promoting the Welfare of Communities, States (with Mark van Vugt, Tom R. Tyler, and Anders Biel, 2000). John L. Sullivan is Regents’ Professor & Arleen Carlson Chair in American Politics at the University of Minnesota, and a winner of the Harold D. Lasswell Award for Distinguished Scientific Contribution from the International Society of Political Psychology. His publications include With Malice Toward Some: How People Make Civil Liberties Judgments (1995). 1. The Centrality of Cooperation in the Functioning of Individuals and Groups: Brandon A. Sullivan (University of Minnesota), Mark Snyder (University of Minnesota), and John L. Sullivan (University of Minnesota). 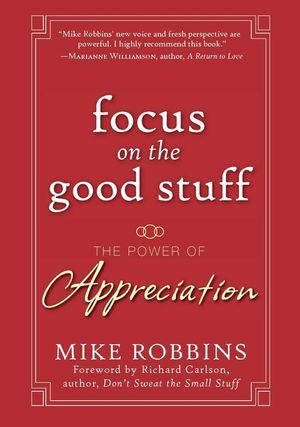 Part I: What Is it About People That Leads Them to Cooperate?:. 2. Logical and Paradoxical Effects: Understanding Cooperation in Terms of Prosocial and Proself Orientations: Paul A. M. Van Lange (Free University, Amsterdam). 3. Evolutionary Psychology and a More Satisfactory Model of Human Agency: James Hanley (Adrian College, Michigan), Jason Hartwig (University of Oregon), John Orbell (University of Oregon), and Tomonori Morikawa (Waseda University, Tokyo). Part II: What Are the Developmental Precursors of Cooperation and Conflict?:. 4. Empathy-Related and Prosocial Responding: Conceptions and Correlates During Development: Nancy Eisenberg (Arizona State University) and Natalie D. Eggum (Arizona State University). 5. Emotion, Affect Displacement, Conflict, and Cooperation: Michael A. Milburn (University of Massachusetts at Boston) and Jonathan Liss (University of Massachusetts at Boston). 6. Altruism and Cooperation: Kristen Renwick Monroe (University of California at Irvine) and Alexis Etow (Princeton University). Part III: How and Why Do People Cooperate Within Their Group?:. 7. 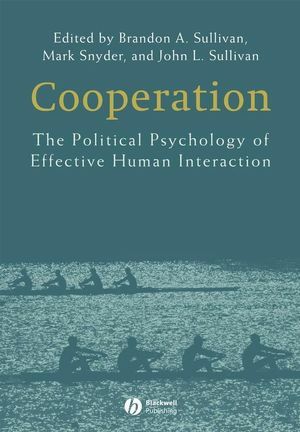 The Psychology of Cooperation: Tom R. Tyler (New York University). 8. Voice, Validation, and Legitimacy: John R. Hibbing (University of Nebraska at Lincoln) and Elizabeth Theiss-Morse (University of Nebraska at Lincoln). Part IV: What Conditions Promote or Impede Cooperation Between Diverse Groups?:. 9. Cooperation, Common Identity, and Intergroup Contact: John F. Dovidio (University of Connecticut), Samuel L. Gaertner (University of Delaware), and Victoria M. Esses (University of Western Ontario). 10. The Segregation Paradox: Neighborhoods and Interracial Contact in Multiethnic America: J. Eric Oliver (University of Chicago) and Shang E. Ha (Yale University). Part V: What Are the Causes and Consequences of Cooperation and Conflict in the Workplace?:. 11. The Paradox of Conflict in Groups: Conflict With Trust Is the Basis for Deep-Level Cooperation in Work Groups: Sarah Ronson (London Business School) and Randall S. Peterson (London Business School). 12. Generative Leadership in Business Organizations: Enhancing Employee Cooperation and Well-Being Through High-Quality Relationships: Amy E. Colbert (University of Notre Dame), Joyce E. Bono (University of Minnesota), and Radostina K. Purvanova (University of Minnesota). 13. Spillovers From Cooperative and Democratic Workplaces: Have the Benefits Been Oversold? : Edward S. Greenberg (University of Colorado at Boulder). Part VI: How Does Cooperation Promote the Health of Individuals and Communities?:. 14. Long-Term Benefits of Habitual Helping: Doing Well by Doing Good: Jane Allyn -Piliavin (University of Wisconsin). 15. Cooperation With and Without Trust: Evidence From Local Settings: Wendy M. Rahn (University of Minnesota). Part VII: What Is the Role of Cooperation in Negotiation and Conflict Resolution?:. 16. Cooperation in Negotiation and Conflict Resolution: Kathleen M. O’Connor (Cornell University). 17. Structural and Contextual Conditions and Negotiation Outcomes in Violent Armed Conflicts: Patrick M. Regan (Binghamton University). Part VIII: How Does Cooperation Promote the Well-Being and Happiness of Individuals and Nations?:. 18. The Politics of Human Happiness: Benjamin Radcliff (University of Notre Dame). 19. The Well-Being of Nations: Linking Together Trust, Cooperation, and Democracy: William Tov (University of Illinois) and Ed Diener (University of Illinois). 20: The Political Psychology of Cooperation: Synthesis and Prospects: Brandon A. Sullivan (University of Minnesota), Mark Snyder (University of Minnesota), John L. Sullivan (University of Minnesota), and Christopher Chapp (University of Minnesota).